a little melancholy , but tender and sweet. I adore these photos, and the thought of your happy tears. I love that you think it's ok. Because it really is, you know. Have a beautiful day. me too!! better than feeling like a blooming onion though. love these photos. Rust keeps us interesting, no? 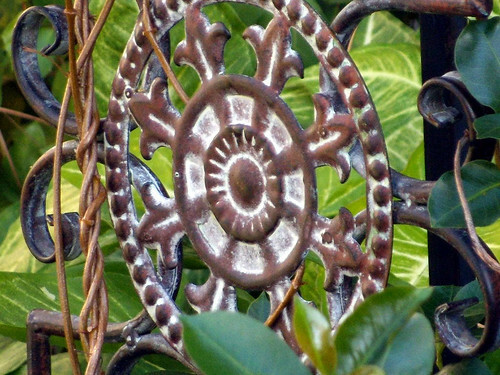 If these photos are from your garden you have some beautiful outdoor art. I like the idea that rust is like a well-aged patina. Being a rusty flower..is more than okay. It's great!!! 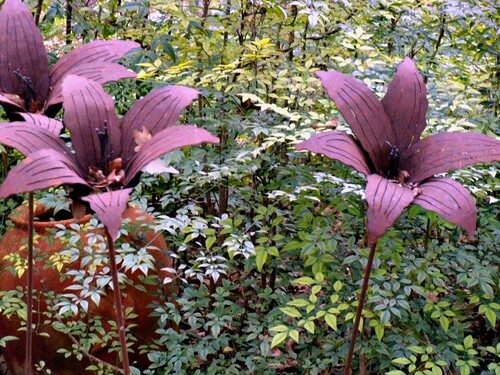 i have a large iris garden sculpture made of some metal... not sure which. i just know it's very heavy. 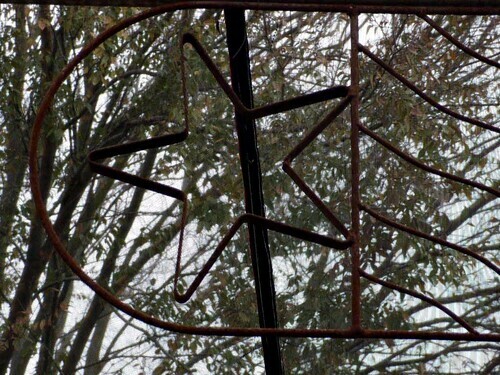 but it is completely rusted, and looks very cool. what a great idea... whoever thought of these sculptures. i especially love the last shot. those rusted flowers against the yellows and greens in the leaves is beautiful. I know exactly how you feel! 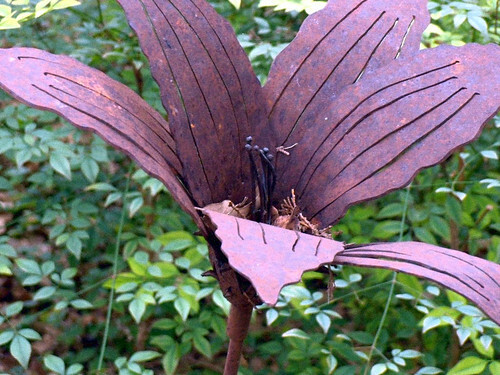 These rusty flowers are great! Congratulations on your anniversary! 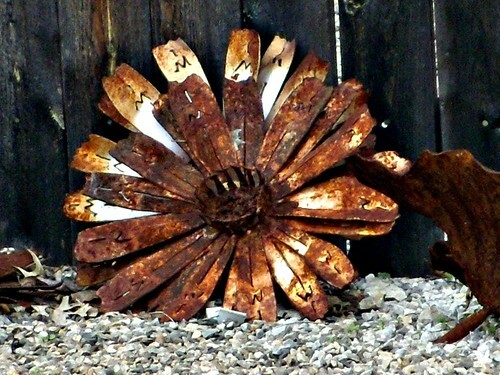 That first rusty object looks like a flower. I love the rusty daisy in the first image ... a simple flower showing grace in age. I like rust because, really, what more can happen? It can only become enhanced with more time and the elements. Lovely photos. perfect words and pictures! patina is good! I love that thought -- and I do love rust! Great shots. beautiful. I look for rusty treasures washed up on the beach. ...especially when they are so beautiful! That first image is perfectly wonderful. One of my favorites ever. Thank you for showing me rust's beauty. oh how i love all this rusty goodness... truly!